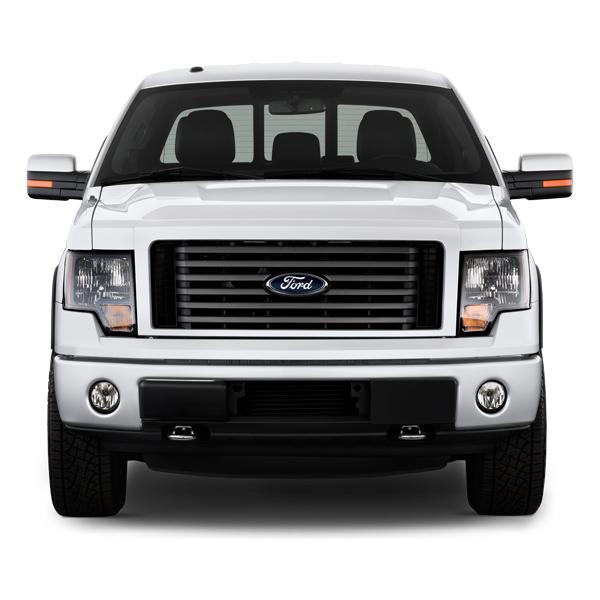 The 2004-2014 Ford F150 and the 2005-2017 Ford Super Duty Trucks all use the same dual beam H13 bulbs for their headlights. The H13 bulb is a dual-filament halogen bulb has both high and low beam in one bulb. You can upgrade the headlight to LED or HID to get more light output. We recommend LEDs over HIDs for reflector headlight upgrade. The reflector cup shoots the light from the light bulb out and the light output is less controlled. Therefore, an excessive amount of high output light sources will cause glare to the opposite traffic. If you live in rural or mountainous areas, or do a lot of off-roading where you really need the extra light – then HID might be a good fit for you as the HID lights work better in inclement weather conditions. You have plenty of options of LED upgrade. All 3 Series of LED bulbs all fit in this application. Upgrading the 2015+ Ford F Series trucks to LEDs requires Anti-Flicker Harness. The fog lights all use the H10 bulbs. We do not normally recommend HID for fog light upgrade. Fog light housings are normally smaller, so the drastic light output increase will give you a lot of glare. LEDs tend to make better choices for Fog Light upgrades. There is a cool dual color fog light option (6000K white and 3000K Yellow) for all weather driving. In your options for LED upgrade, we do not recommend the fan cooling LED bulbs for fog lights. Besides the glare issue similar to HID bulb, the life of the fans will drastically be reduced when exposing to an excessive amount of elements. The lower mount fog lights are close to dust and mud on the ground, therefore, are very easy to attract elements.